Here's a photo that you are welcome to copy and share. 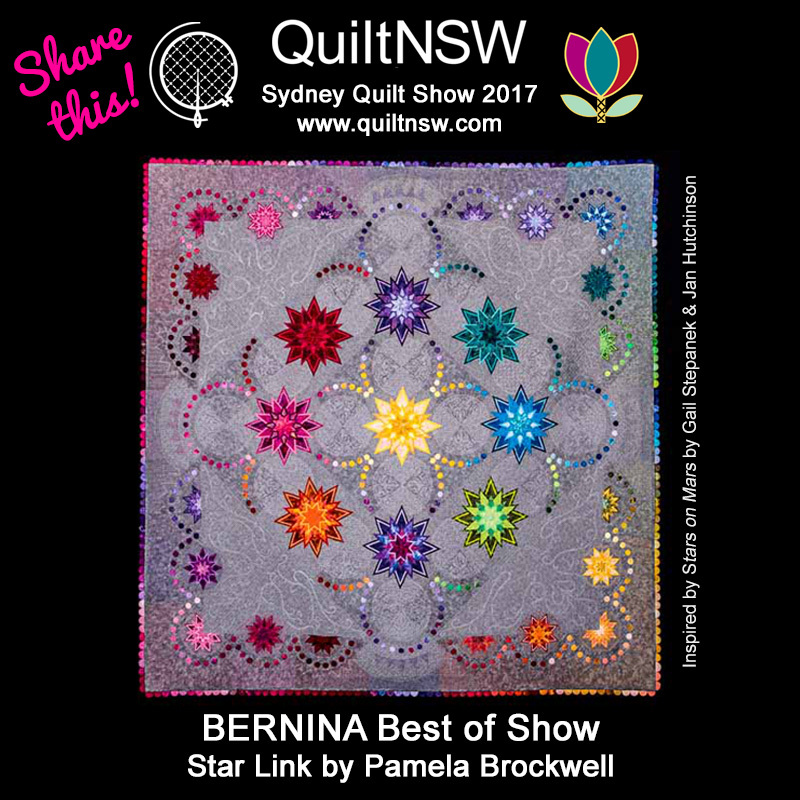 Be sure to link back to the Sydney Quilt Show Online Gallery which features images of ALL of the wonderful prize winning quilts. 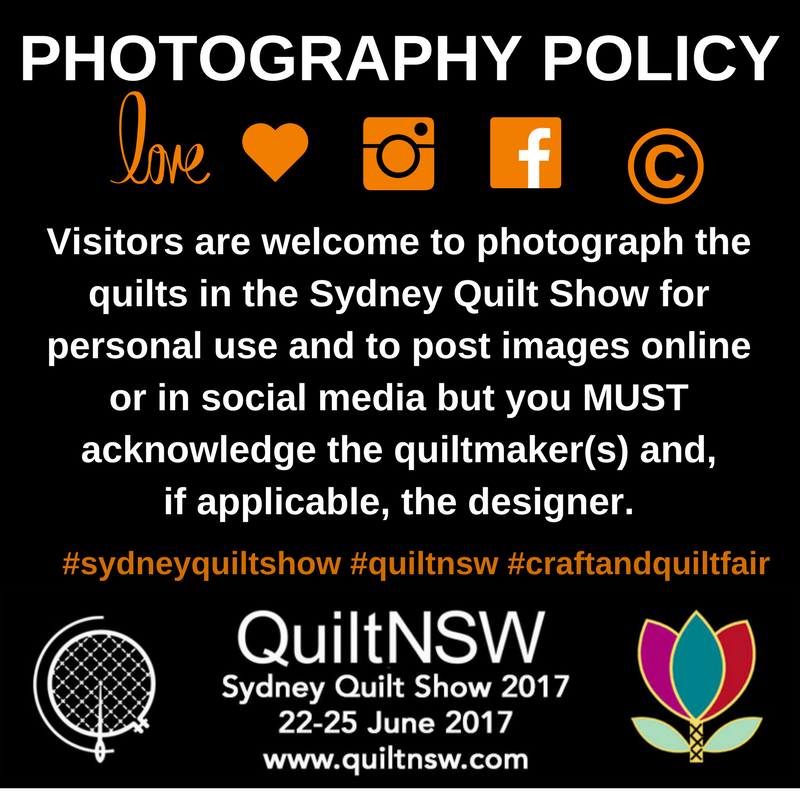 If you are attending the show, you are welcome to photograph the quilts in the show for personal use and to post images online or in social media provided you acknowledge the quiltmaker(s) and, if applicable, the designer of the quilt. It's easy to do - all the details are on the quilt tags! 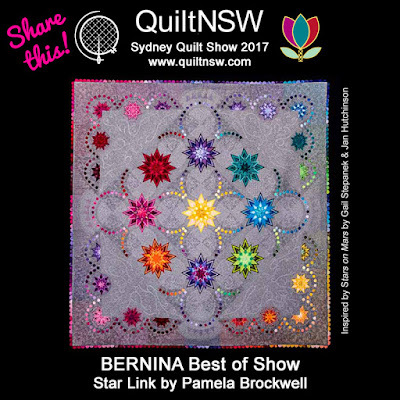 Many quilt labels also include social media details so that you can link to the maker's website, blog, Facebook or Instagram profiles. 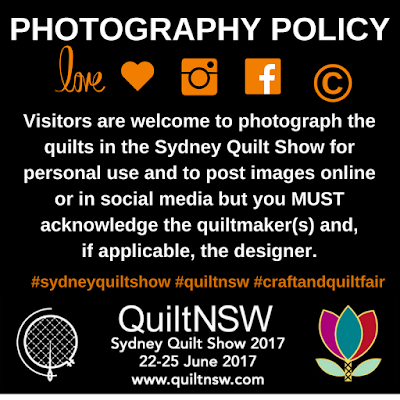 If you share images of quilts in social media, help us generate interest in the show by tagging your photos with the hashtags: #sydneyquiltshow, #quiltnsw and #craftandquiltfair.